Over R700,000 in FreePlay to be won! Make sure you get to Golden Horse to play Slots! Why, you wonder? 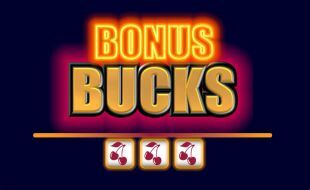 Well, we are making up to 100 winners daily with our Bonus Bucks promotion! If you play Slots between 1 May to 31 July, you could be randomly selected to win a share of R700,000 in FreePlay! The best part is that Bonus Bucks is open to all Golden Horse players, which means anyone can win! Make sure you come and play any one of the 281 selected Slot machines on the Smoking and Main Casino floors (excluding the Privé) that have been designated for Bonus Bucks. The AGI Flexi-Link, up to 98% Payback, Cash & Cars mystery progressive & Roulette machines are not included in Bonus Bucks. Bonus Bucks is open to all cards, including White cards. Bonus Bucks started on 1 May 2019 and will conclude on 31 July 2019. There will be up to 100 winners per day over the promotional period. You need to be actively playing at the time of the random selection in order to be selected as a winner. Participants have to play slots whilst using Golden Horse Cards – Black, Platinum, Gold and White Cards. Prize Winners will be selected through the Lucky Coin bonusing module.